In 140 characters, write your Unique Value Proposition (UVP). The UVP is the value or the end result that you promise to deliver. This is about why customers should use your product. Your UVP or your other value propositions (that you've created in the last task) will be the main reasons why users will bother to try your service. This shows why you are different, and it communicates a very specific result of using your service. You will use this UVP on your website. Also, a good or bad UVP will give you incredibly different conversion rates. The UVP should be the combination of what all of your benefits together do. It should fully describe what your product does. You can use the other benefits either as your subheader or your key features/benefits. This is also the simplest way to help someone understand your business completely, and understand who it's for, and what it is. 1. Focus on what your customers will get in the end - Be concise. Your UVP should be very easy to remember and understand. Example: "Get fit in 30 days" is a good UVP. "Track your everyday weight" is a good benefit but not a good UVP because while it tells customers one of the things they can do, but it doesn't deliver what what they want in the end, which is losing weight. 2. The benefit is not a slogan - Just do it, CK or nothing at all. These are not UVPs, these are slogans. 3. Differentiation - The UVP should point out something only you can do and your competitors can't. 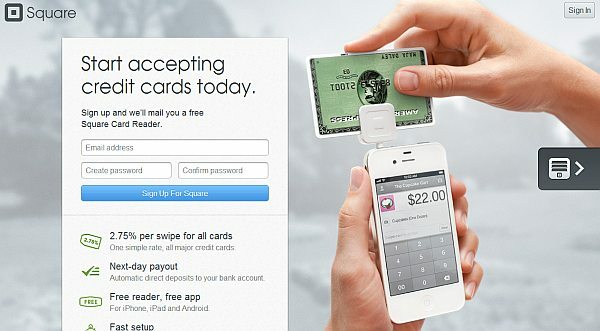 In this case the UVP is "Create a Landing Page in Just 3 Minutes"
Another example: Square's landing page's UVP - "Start accepting credit cards today." You can also see the the other great benefits under the signup form, which reinforces the UVP. Tip: Best way to get your UVP is to deriving it from the problem you are solving. Study other people's UVPs.